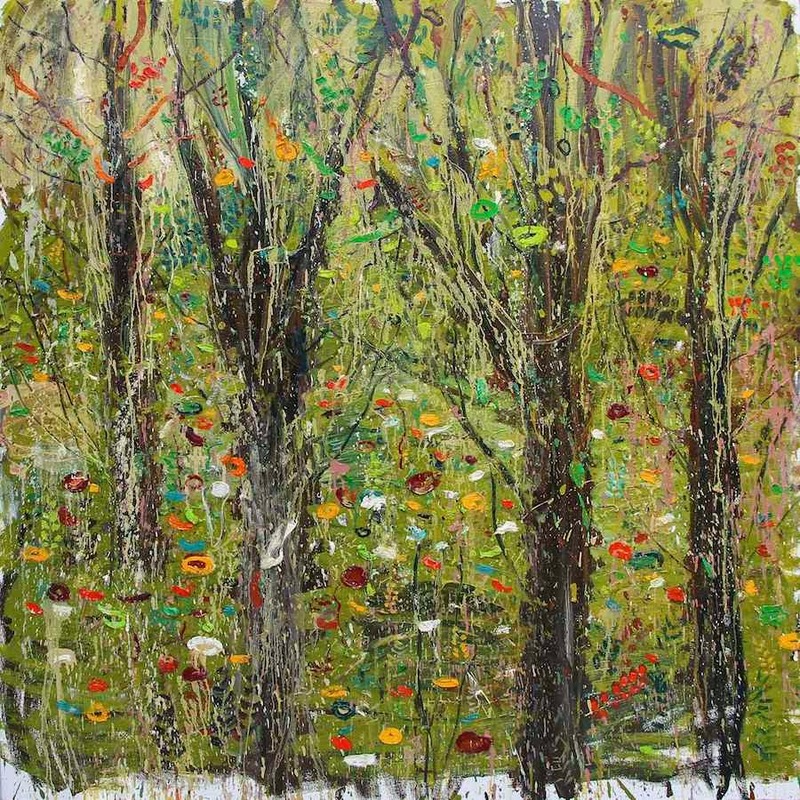 In Blessings In Disguise, the forlorn empathies found in Mark Andy Garcia’s moving portraits are diverted into the serendipitous view of an overgrowth of trees caught up in its own remarkable season—the inimitable expression the artist pours out into his canvas. In his usual painterly manner of rendering his scenes, Mark Andy Garcia, once again, applies the depth of his emotions through his brushstrokes, which are as expressive as they can get. They are the limitless outpouring of colors, shapes, and texture, which explode right out of his canvas. 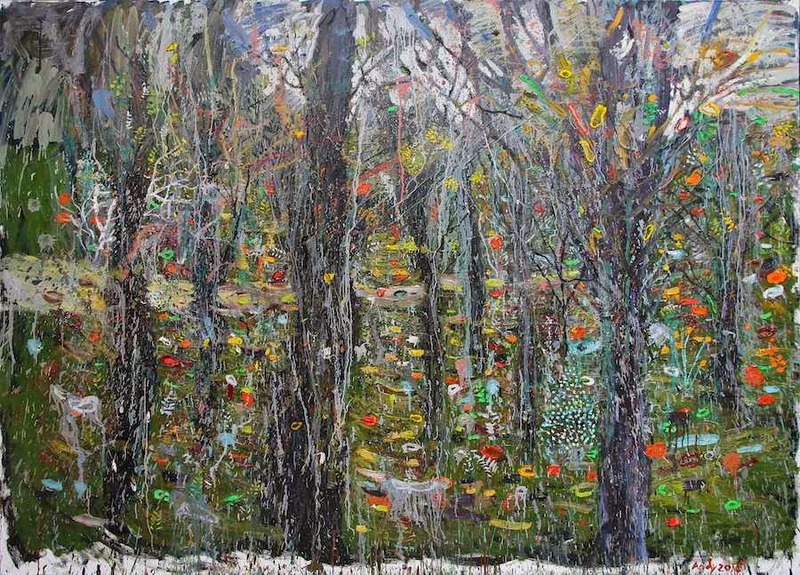 As an artist who is primarily known for drawing inspiration from experiences that are closest to his personal life, Mark Andy sets out his creative endeavor not only as a kind of catharsis but as part of the process of coming to terms with one’s memories, mixed feelings, unreconciled quandaries, and the unforeseen burdens as well as unexpected joys in life. The trees itself are symbols of an unrestrained nostalgia for childhood. 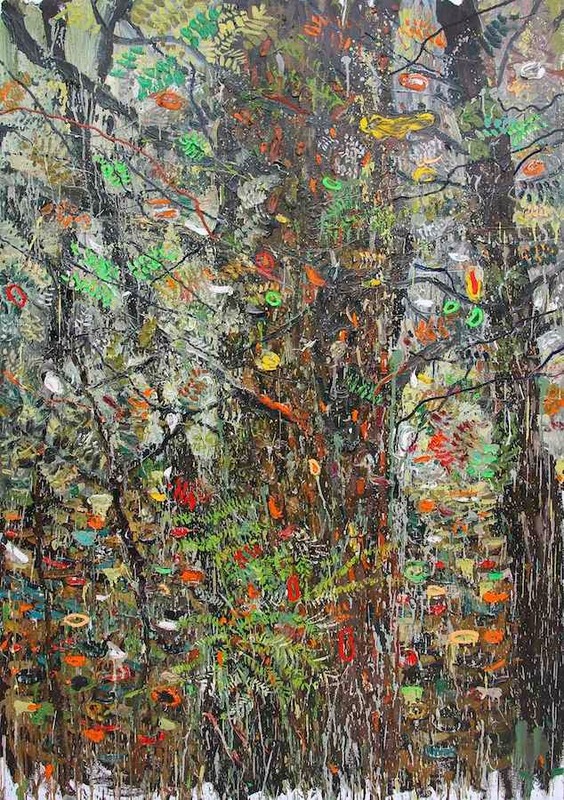 The paintings reflect his memories of that once, innocent lot of playground in a place he had stayed as a child, subsequently ruined by city congestion, and has been left with no place for such growth. The trees’ growth are symbols as well for his own growth into maturity—hoping to stay clear from the demands of crowds, hoping to keep what is pure, and to be remembered as sturdy and full of life. 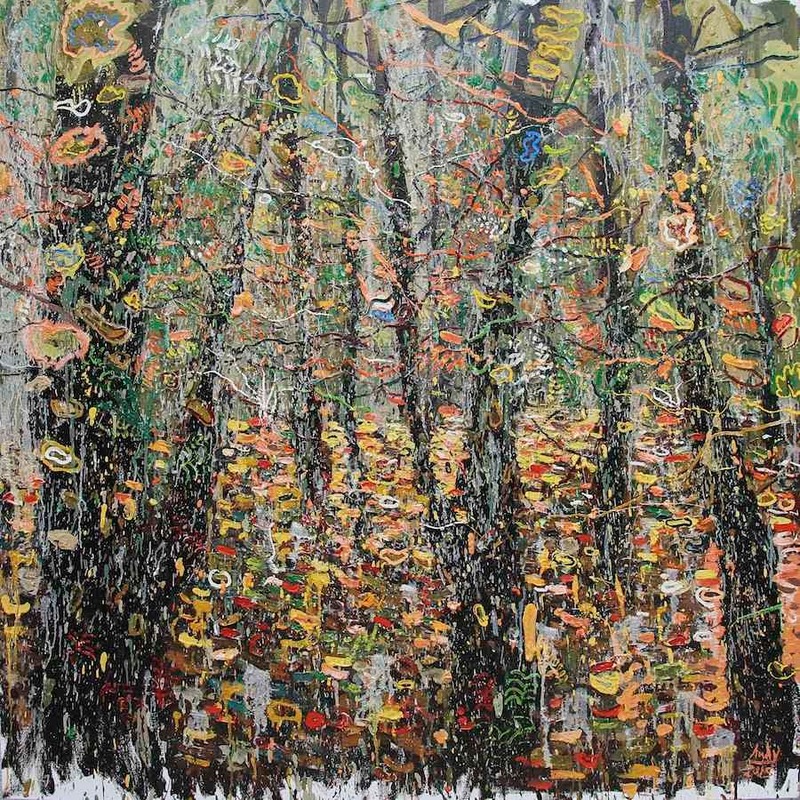 The trees, which unmistakably reveal itself against Garcia’s thick layering of paint, emerge through the scene as self-assured structures, able to withstand the different seasons of the artist’s exceedingly expressive methods. They unfold through the splattering of colors, through the application of abstract elements, through the drip and coarseness of paint, and through a symphony of raw emotion which applies itself organically into the canvas. This is a reprise of ‘nature’ painting, where nature is the substance of all that is human: vulnerable, impulsive, unpredictable, mysterious, yet always majestic. The edges of these canvases had ben unevenly filled, leaving traces of white surfaces that engulf the whole frame. Garcia, who has always been candid about his process, confessed to the inadvertent outcome of the whole matter—that he didn’t have enough space in his cramped studio to finish the edges. This predicament would be a fitting comparison to what is central in his art: that his stories, his childhood memories, his relations, are all cramped inside and are always waiting to break into expression, and these expressions may be within reach or not, but it is still up to us, to try to negotiate with the unevenness and the irregularity of it all. 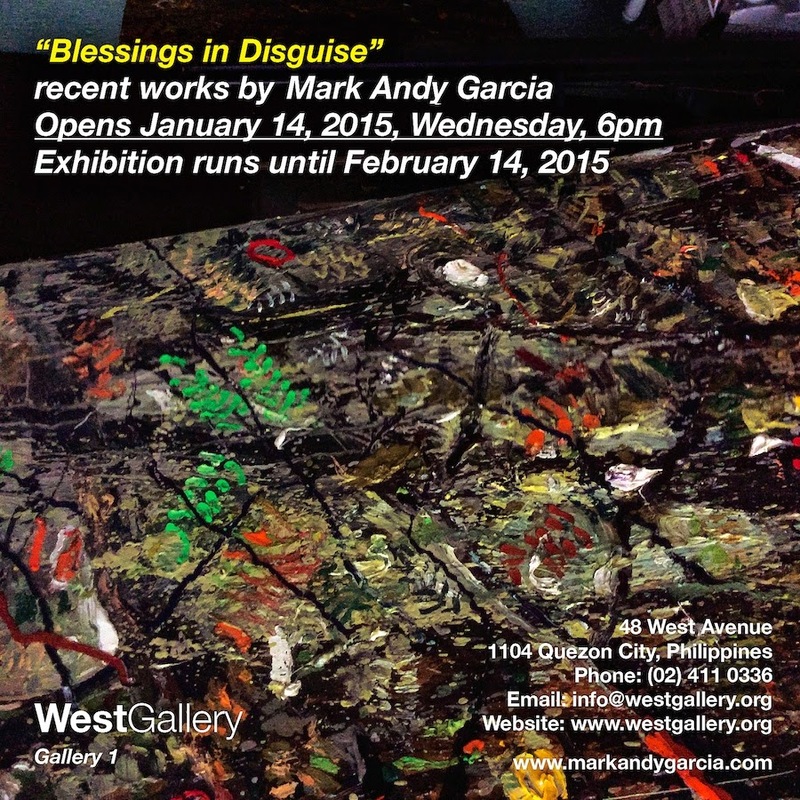 In Blessings In Disguise, Mark Andy Garcia has been unmistakably blessed with a vision for making art. 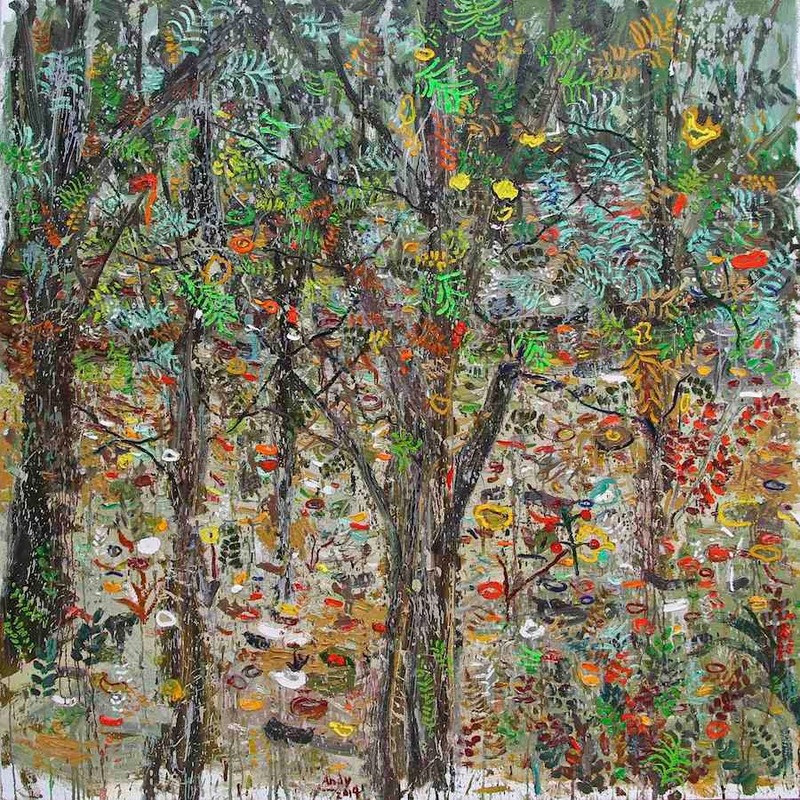 And he relates the serendipity conveyed in his new set of paintings with the peace that can be found in real life. Throughout many of his works, which have been described in the past as somber, personal, emotional, or even painfully autobiographical, one thing remains certain—that these images are forged with a desire to find a grounding center where, finally, equanimity can flow.